I've been talking a lot lately about how much I want to grow my own herbs. 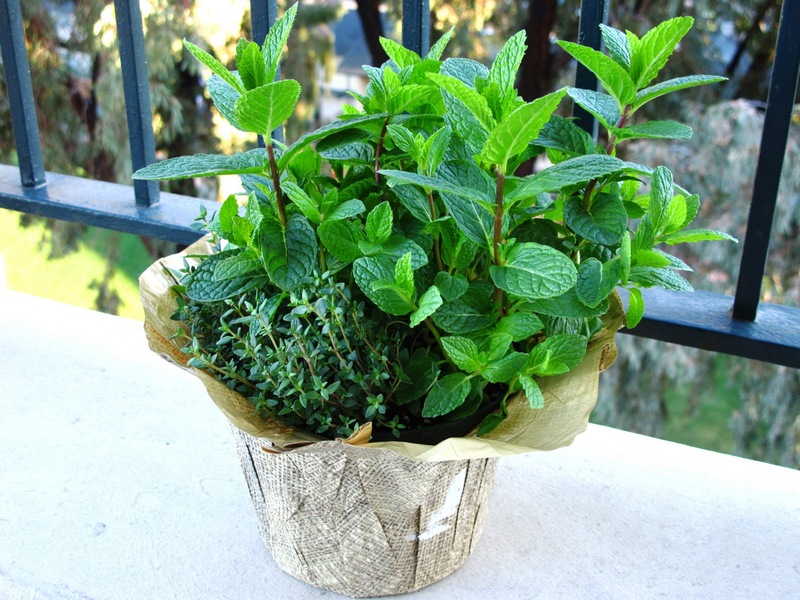 As a little "feel better soon" gift, he bought this combination for me: oregano, thyme & mint. I'm so excited to use these herbs in our meals! 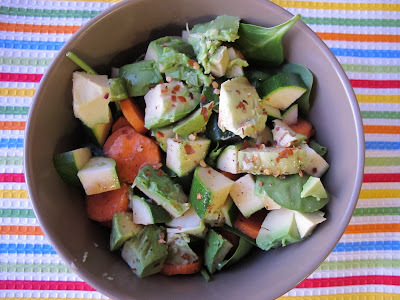 As a segue into more leafy greens, I've been enjoying a lot of salads as of late. While nothing really sounds good when you're feeling sick, I know that it's important to get a lot of good nutrients and vitamins. Everything (except the avocado!) came in our weekly CSA produce box. Mmm, fresh California vegetables! Do you grow any fresh herbs? !